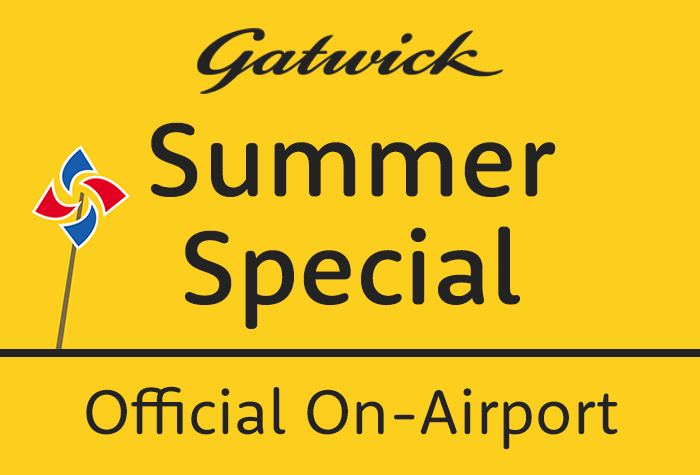 The Gatwick Summer Special Car Park isn't available to book through Holiday Extras at the moment. 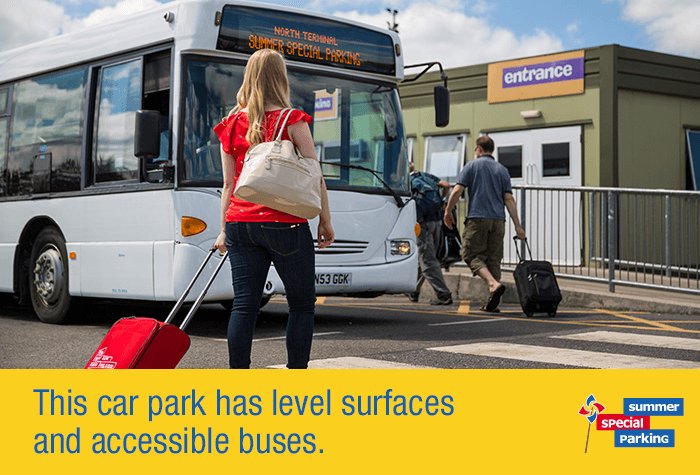 However, if youre after convenient parking why not take a look at APH Park and Ride? 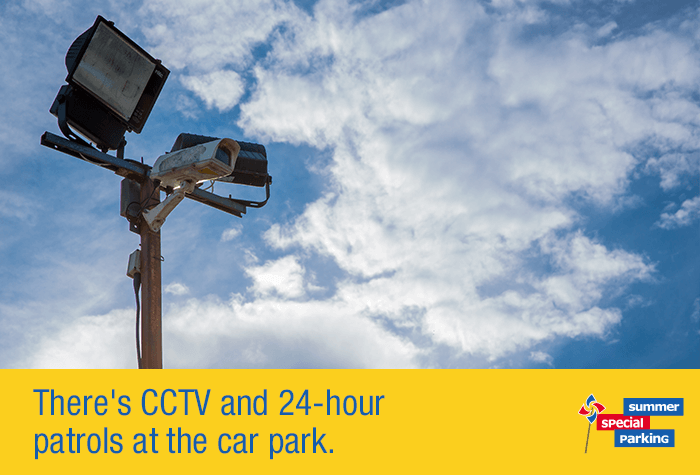 Not only is it a cheaper option but the car park is easy to find and has transfer times of only 10 minutes. A special summer offer that's not just for summer. This airport-run car park has all the security and convenience of an official airport car park, but at an impressively low price. 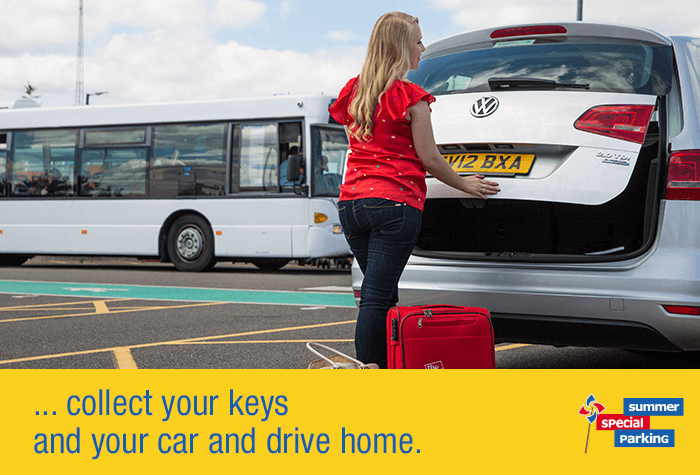 Park in the airport grounds and a dedicated Summer Special transfer bus will take you directly to the terminal. The bus runs every 10 minutes to the North terminal and between 15-20 minutes to the South terminal. 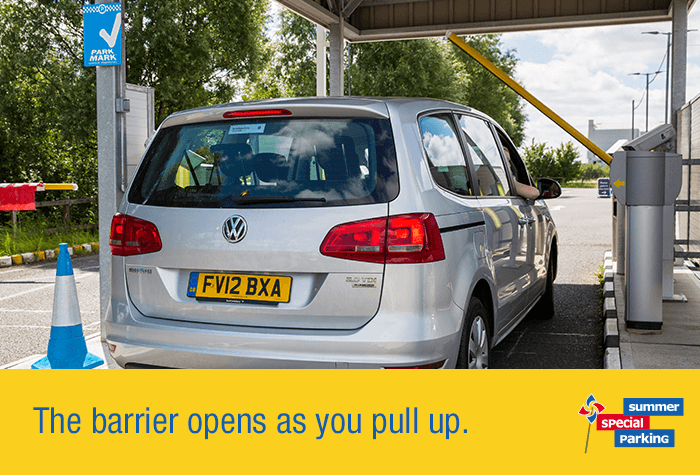 The transfer times take approximately 10 minutes to both terminals. Parking process was quick and easy. Transfer to the airport was only about 10 minutes and the price was excellent!!! Great service all went very smoothly . The staff were excellent . Very smooth process and would use it again. However when we got back. The car had a layer of dust which wasn't pleasant. Our customers rated Summer Special on average 9/10 (5322 reviews). Read Summer Special reviews. 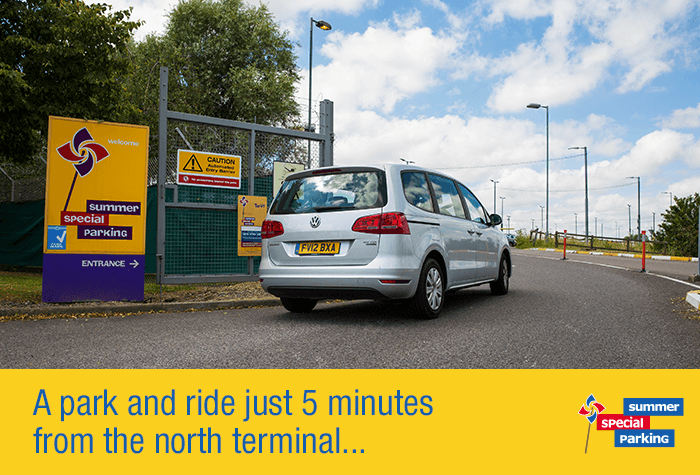 One of our closest car parks - its just 10 minutes from the terminal! - The buses lower and have ramps, and theres space for a wheelchair on board. 1. 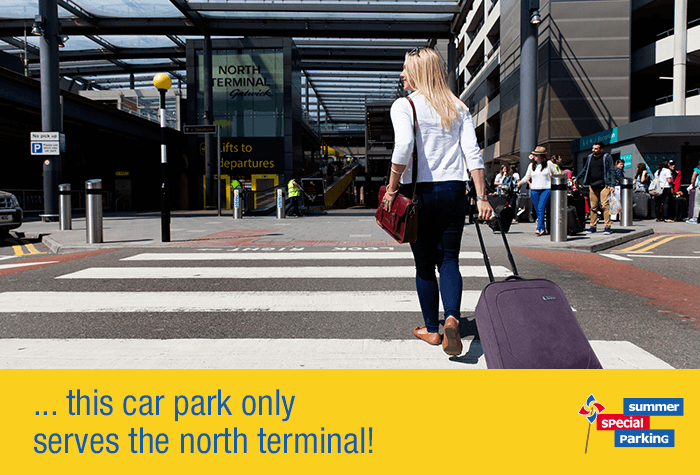 Follow signs for Car Parks out of the terminal and you will find the bus stop for Summer Special parking on your left. There are a number of bus shelters in the car park. 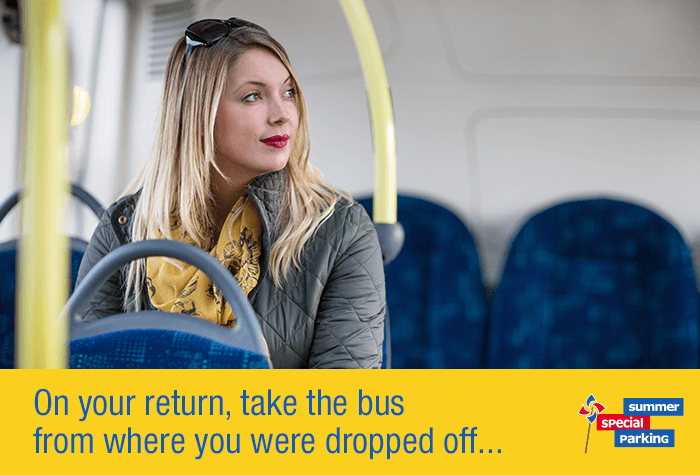 Catch the bus from your nearest one. It takes just 10 minutes to get to the terminal. 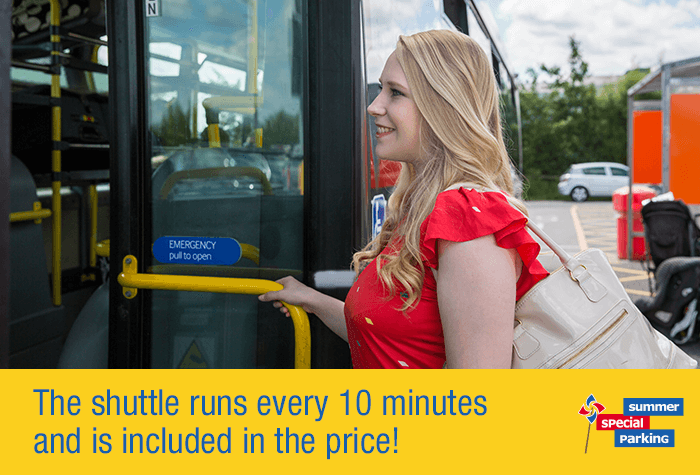 The bus runs every 10 minutes and is included in the price. 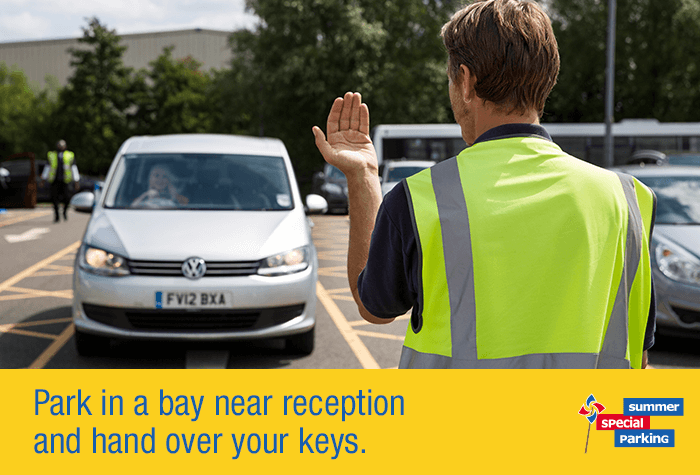 Collect your luggage and follow the signs for Car Parks out of the terminal. You will find the bus stop for Summer Special parking on your left.